to the United Notions/Moda Fabrics family. 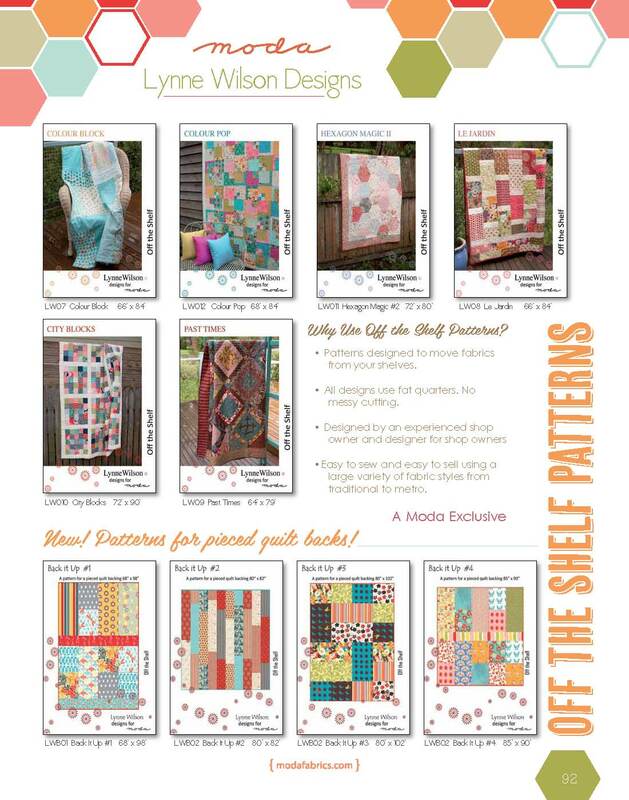 Lynne has a new pattern line named, Off the Shelf. easy to kit, easy to sew and combine fabric lines. and these are big pieced ones, so I thought I would make this pattern first. 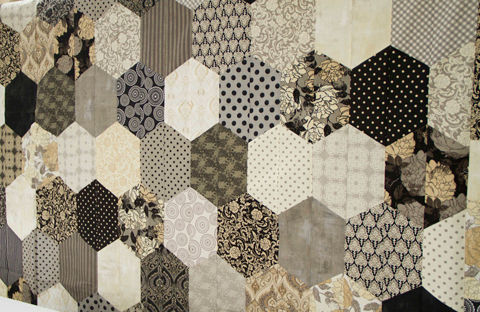 Pattern # LWD12, Hexagon Magic # 2. “clash factor” in both color and pattern. pop and the semas will disappear. 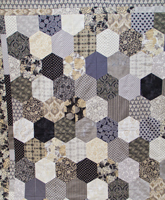 I know the perfect household for this quilt to reside in! 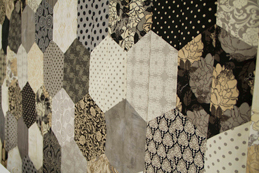 These fabric collections are available in stores in August. 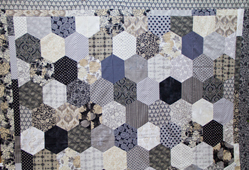 In case you want to kit/sew this quilt I have included the stock numbers. All you need is a fat quarter of each. For borders you need 4 fat quarters of your choice. When will we be able to get these patterns?! Tracey, United Notions has the patterns in stock now and they are shipping to stores that have placed an order. They should soon be showing up at your favorite store.